BLAEU, J. - Tabula Magellanica. Tabula Magellanica. - BLAEU, J. Size : 16.2 x 21.1 inches. / 41.2 x 53.5 cm. 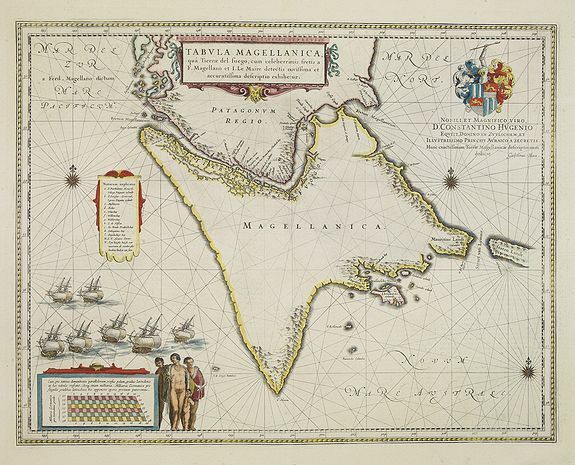 Description :A map with Willem Blaeu's signature, but published by his son Joan, of South America's extremity. A dedication to Constantijn Huygens. Condition : In very fine to mint condition, wide margins. Dutch text on verso.